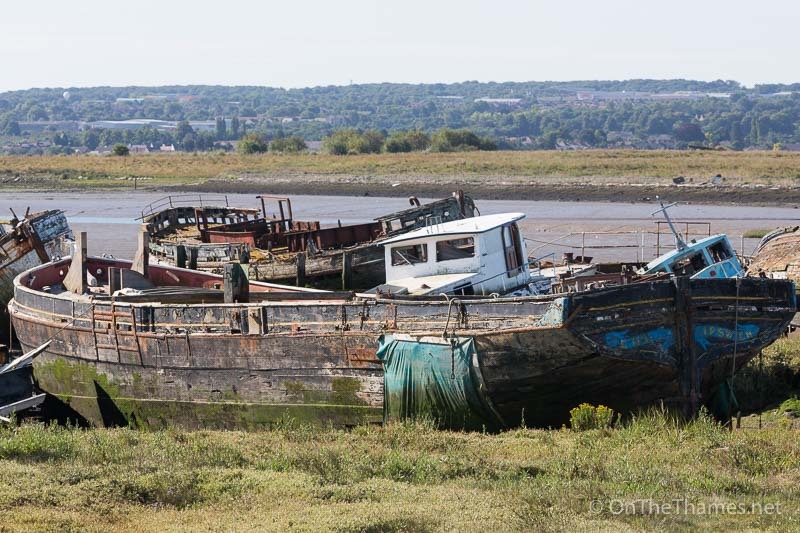 WHILE the new Dunkirk movie rides high at the box office, one of the ships from Operation Dynamo is lying rotting in Kent. 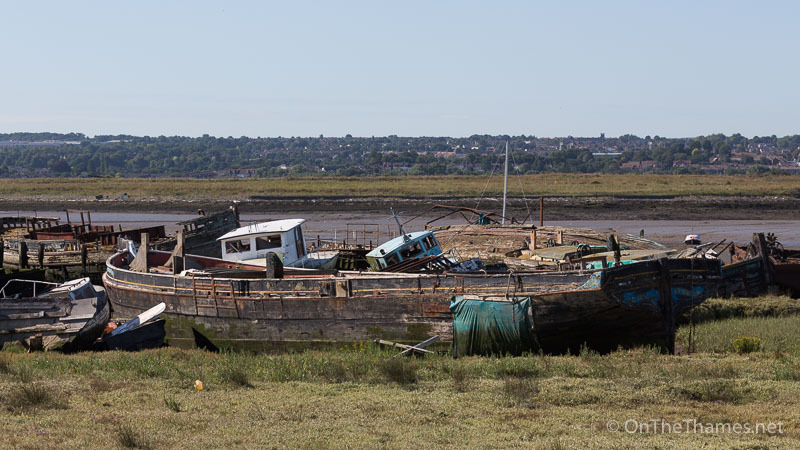 111 year old Sailing Barge Ena is currently decaying in a barge graveyard in the River Medway at Hoo. 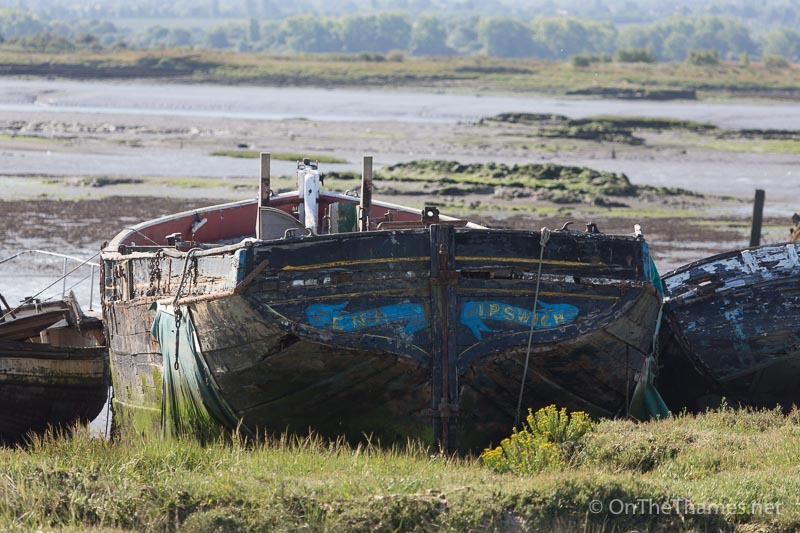 The historic vessel was sailed out to Dunkirk on 31st May 1940 to help with the evacuation but her crew were forced to abandon her in deep waters. 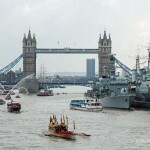 British troops without any sailing barge experience were able to board Ena and sail her back to the UK. According to the Association of Dunkirk Little Ships, Captain Atley of the East Yorks Regiment and another soldier built a raft and rowed out to Ena using shovels as oars. It's estimated by the authoritative 'Dunkirk List', held at the Caird Library at the National Maritime Museum, that 100 troops were saved on board 88ft long Ena. In 2002, Ena was featured on the Channel 4 television programme Salvage Squad - available to watch online here. In 2011, it was reported that she was up for sale on eBay with the bidding starting at £85,000. 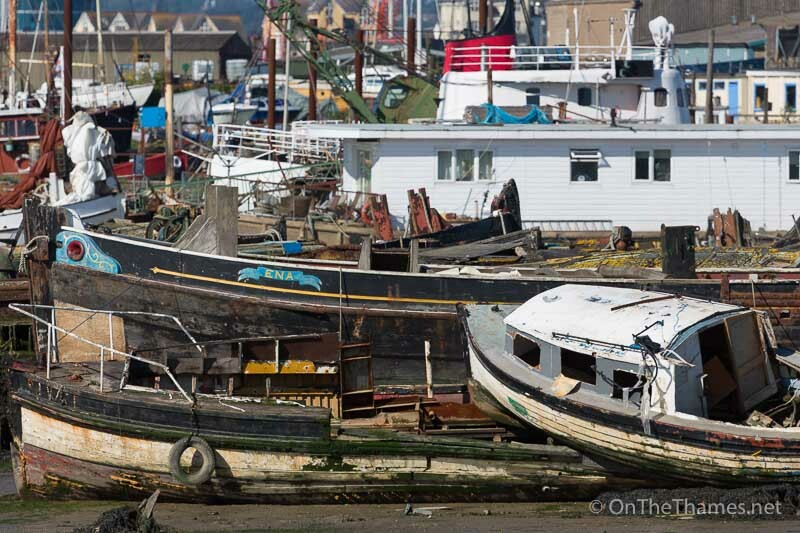 But despite the high profile televised effort made to restore her just 15 years ago, her future now looks extremely bleak, abandoned alongside wrecks at Hoo and buffeted by the elements and tides. My Grandad came home from Dunkirk on that boat, what a shame. What a shame to see Ena in this state. She was owned by Pauls Malt (now BOCM Pauls) who sold her. My father was her mechanic when she was owned by Pauls. I’m pleased he’s dead as he would absolutely disgusted at her present state. 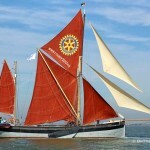 I spent some great days as a child sailing on her. Shame that no wealthy individual is prepared to bring her back to her former glory to honour the men who laid down their lives at Dunkirk where Ena was beached. She was rescued once why can no one do it again. Once she’s gone she’s gone forever. Surely someone cares enough to rescue her from the mud. 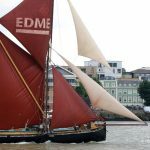 sailing barge ena would be still afloat now if the last owner knew what they was doing by corking up the wrong way so this is now she is now got to be layed to rest laying in the graveyard in the medway at hoo my dad use to skipper her at times when tom polly was on holiday or when he could not be at hand so my dad was at hand his name is mr George potter now the age of 82 years of age . 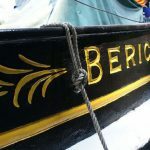 he his always talking ABOUT THE OLD BARGES as he went into them at the age off 14 . Just want to chime in here- my Dad, Alec Smith, sailed back to England, not on ENA, but another barge HAC. 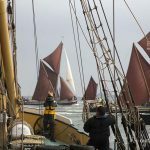 The men commanding each barge certainly had sailing experience, ( as did my dad) as the two craft raced across the Channel, making it home in fine style, despite being strafed a couple of times by German aircraft. 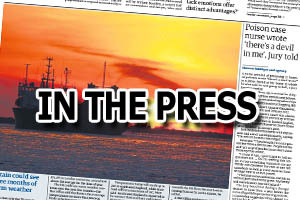 Such a great story – shame it couldn’t have been part of the movie “Dunkirk”. 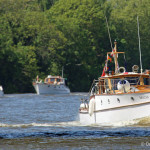 My Dad,Bill Nelson,worked for Pauls all his working life and was their chief salesman.After he ceased being in sales he had a job at head office when one of his duties was to oversee Ena.I hired her one weekend and took a party of friends from Maldon on a cruise down the Blackwater. Is their any chance of saving her?I would like to hear from anyone who could advise me.